Why does the ContinuuMini matter? Expression really is a combination of sound and physical control. 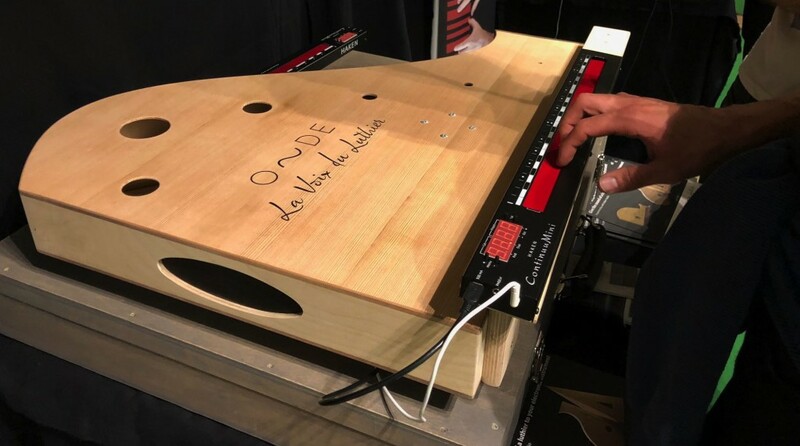 Say what you will about piano keyboards (and some electronic musicians who hate them certainly do) – the reason an acoustic piano is still expressive has to do with the sound of a piano. So when we talk about MPE, a scheme for allowing polyphonic expression through MIDI, we’re really talking about allow greater depth in the connection of physical gestures and sound. If this is going to catch on, it’ll require more than one vendor. I think it’s wrong to assume MPE’s future, then, is tied solely to ROLI as a vendor. From the start, MPE was an initiative of a range of people, from major software developers (Apple, Steinberg) to hardware inventors (ROLI, but also Roger Linn and Randy Jones of Madrona Labs, for instance). 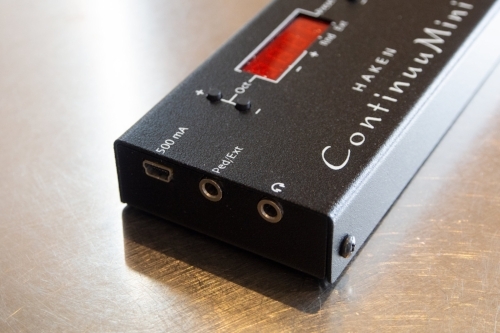 And Haken Audio has been a boutique maker pushing new ways of playing for years – including with MPE on their Continuum. The Continuum may look arcane in photos, but feeling it is a unique experience. The ribbon feels luxurious – it’s actually soft fabric. And the degree of control is something special. But it’s also enormous and expensive – and that means a lot of people can’t buy it, or can’t tour with it since it won’t fit in an overhead. I believe that what makes an instrument is really finding that handful of people to do stuff even the creators didn’t expect, so if you can lower those barriers for even a run of a few hundred units, you could have a small revolution on your hand. That’s what Haken have done with ContinuuMini, which closed crowd sourcing late last year and has started shipping of the first hardware. It’s a Continuum. Well, first, nothing else feels like a Continuum. That feeling may not be for everyone, but it’s still significant as a choice. It’s continuous. Because you aren’t limited by frets or keys, there’s a continuous range of sound. This is a controller you’ll want to practice, finding intonation with muscle memory and your ear. And there are artists who will want that subtlety. It has internal sound. Like its larger sibling the ContinuuMini has an internal sound engine. That means that it’s not just a controller. Haken have conceived control and sound in a single, unified design. You can play it without connecting other stuff. And the builders have worked on both the physical and aural experience of what they’ve made. I think that’s significant to anyone making an investment, particularly in an age in which abstract controller hardware tends to stack in our closets. It’s 8-voice polyphonic, as well. The ContinuuMini isn’t just a controller: it’s a complete, gorgeous polysynth and a controller, for this one price. It connects to other gear, without software. Bidirectional digital control – MIDI, with MPE, MPE+ – and bidirectional control voltage analog (with converter) are possible. That means you can play the ContinuuMini with gear and software (like recording MIDI and MPE in your DAW for playback), and likewise the ContinuuMini can control your software and gear. There are also two pedal inputs so your feet can get in on the action. It’s only a quarter kilogram. 9 oz. You can tote the bigger ones with a case but – the ContinuuMini is incredibly portable. It feels like an extraordinary development.